The assignment was to convert originally bath building into new performance facility. The transformation of the space should bring maximum utilization of space in the future. It shouldn‘t restrict the imagination of artists about preparing specific scenes. The spa area itself has a certain value adjustment should concern only minimal improvements needed to the contents of the new program.This design statement sets out a vision, Development Framework and indicative, illustrative Masterplan for a very significant site in North Lanarkshire. 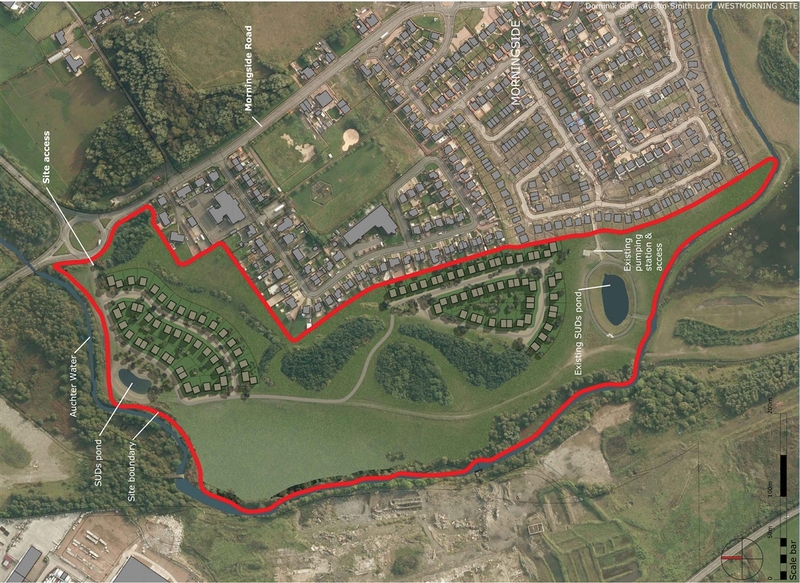 This proposal for Castlehill and Weymsshill would make a signifi cant contribution to providing housing and associated amenities in an attractive location adjacent to existing communities in south Wishaw. This Development Framework seeks to augment the obvious assets that the sites have through careful, landscape-led place-making to create a high quality, distinctive place that respects, and is very well integrated into, its local context. 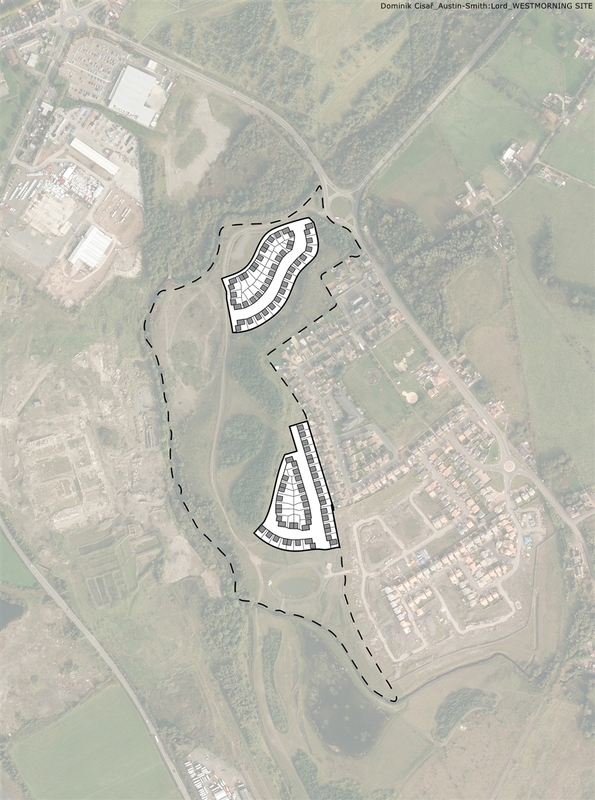 Although not allocated for development, we believe that Castlehill & Wemysshill site can make a significant contribution to addressing the housing shortfall in South Wishaw, in the short to medium term. 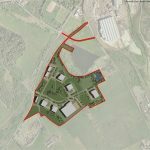 The site could accommodate up to 825 new homes. It is serviced, has no insurmountable technical constraints and is ideally located to meet North Lanarkshire and Wishaw’s housing needs. The site is in a sustainable location; it has good public transport links and is within a walkable distance of local services, including Overtown Town Centre and the new Clyde Valley shared campus. The proposed development will provide a choice of housing, including aff ordable housing, in an area where people want to live. 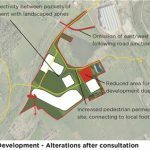 The proposal could include a mixed-use neighbourhood centre, which would provide local services and facilities for the existing, as well as the new community and will create local employment opportunities. Furthermore, the increased population will contribute to the regeneration of Overtown and Gowkthrapple and will help sustain, and drive improvements to existing community facilities and infrastructure. 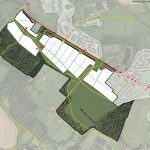 The site, approximately 69.4 hectares (171.5 Acres), is located on farmland 1 kilometre South of Wishaw town centre and 1 kilometre north east of the River Clyde nestling within the Clydesdale Valley. Bounded to the north east by Castlehill Road, the B754 is a busy road with access roads off to the north serving residential, community and educational uses (Clyde Valley High School Campus) area of Gowkthrapple. While residential development to the east has frontage development off this road it will be necessary to provide access to the south with no frontage access to the B754. Castlehill Farm has existing access off the B754. The existing residential development of Overtown and Wemysshill. 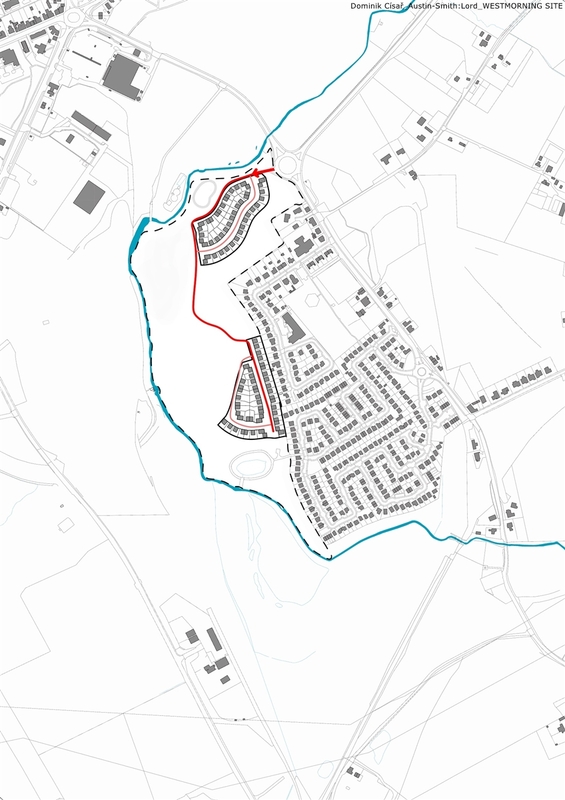 The eastern boundary is formed by the small burn to the east of Wemysshill Farm fl anking open grassland, which was formally derelict land, and housing at Overtown fringed the site in the north east corner. 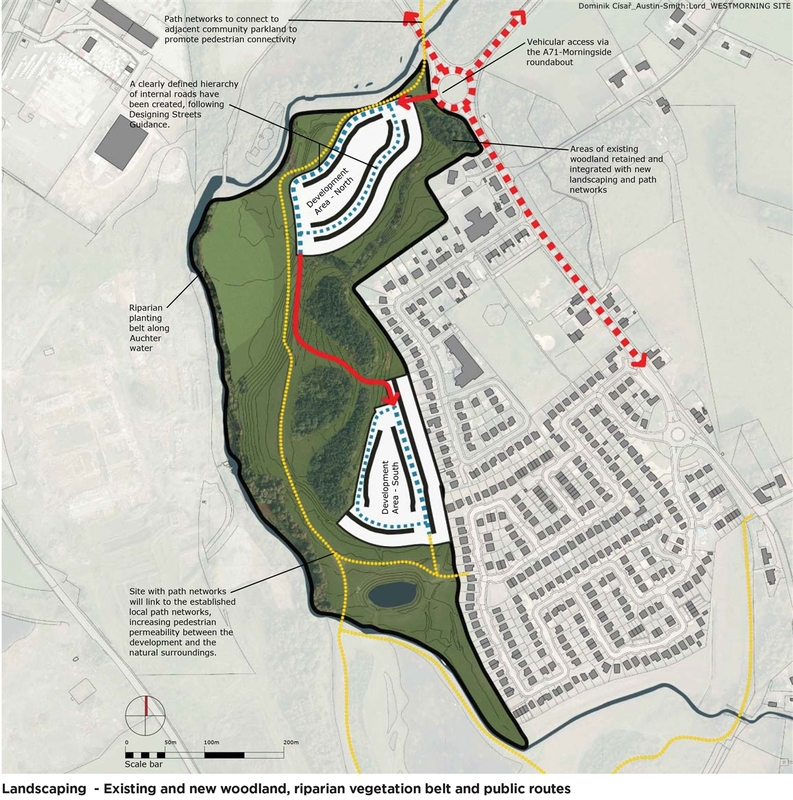 The southern edge of the proposed development on the western end is formed with new woodland planting to the south of which outwith the site is a south facing slope visible from the Clyde Valley – south of the slope is Highmainshead Wood. 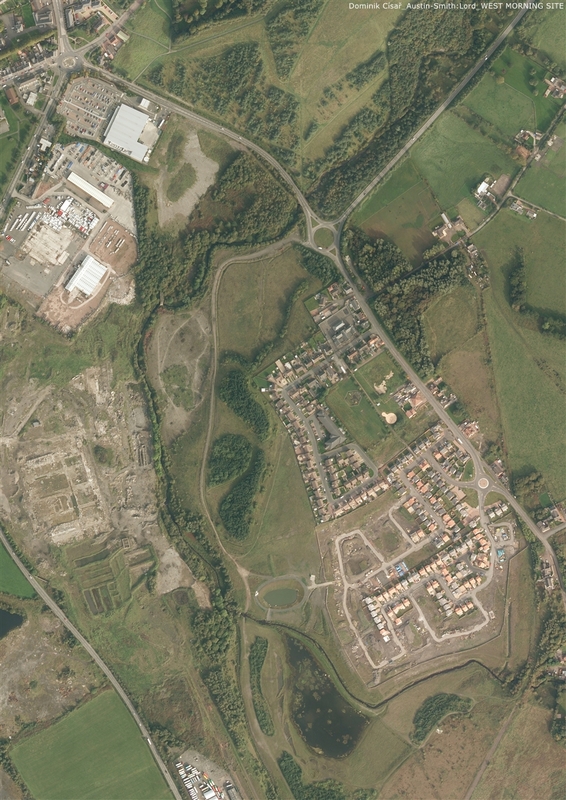 The woodlands and topography screens the proposed development site from the Clyde Valley. The midsection has Durhambank Orchard to the south and the eastern section has Lucindabank to the south. The eastern section has a gentler slope to the south and is not visible from the Clyde Valley. The eastern boundary is formed with mature woodland on either side of a track leading to Carbarns Wood and the Grade A Listed Building, Cambusnethan House. 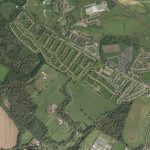 The site has a history of agricultural use, with a small terrace of houses (Sneddons Rows) historically present midway between the cattery and settlement at Overtown (Hopefi eld). A railway line historically crossed the site, Cambusnethan Colliery circa 1860. As such, a number of mine shafts are located throughout the site which have been identifi ed and considered within the design proposals. This design statement sets out a Development Framework to redefine a former industrial site as a contemporary place for business and industry, making a positive contribution to the local economy. 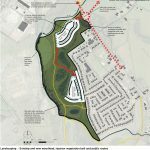 The Development Framework illustrates a vision that applies pragmatic and well established place-making design principles to redefi ne a site capable of helping to transform the communities south and east of Wishaw. 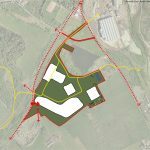 Although allocated as Greenbelt in the adopted and emerging Local Plan, the site has brownfield characteristics having previously been used as a coal washery site and opencast coal site. Business and industry uses are proposed, which will create employment opportunities for local residents and contribute to wider regeneration initiatives within the area. 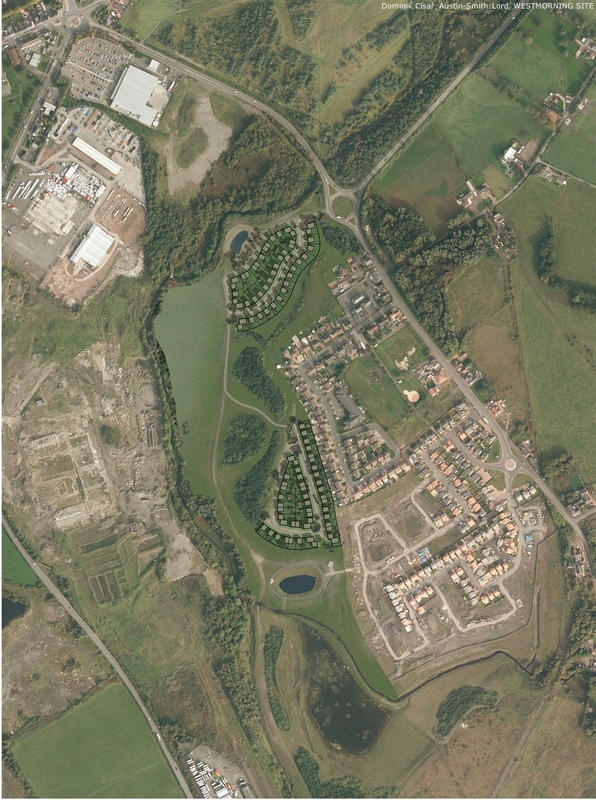 The site is in sustainable location, in close proximity to Wishaw, Newmains, Waterloo and Morningside. 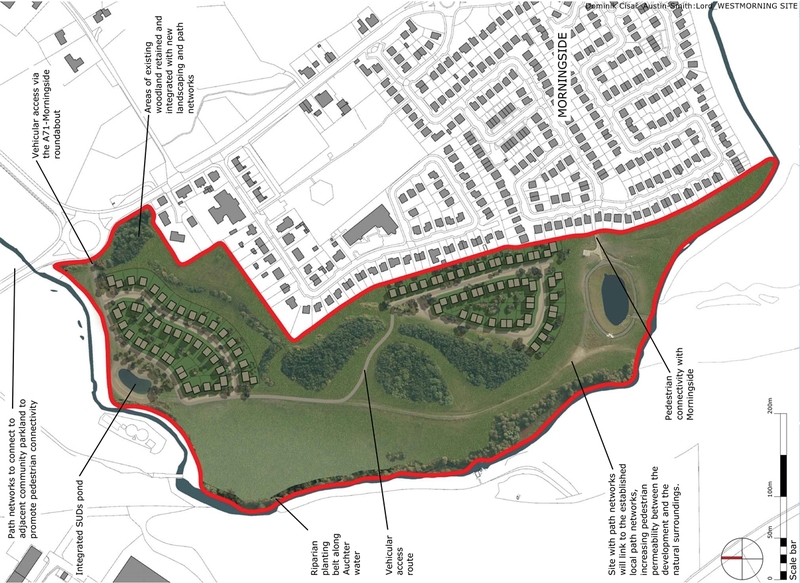 The site has existing footpath and cycle path provision, which can be extended to connect with the surrounding settlements, the Auchter Water and the Greenhead Miss Community Nature Park. 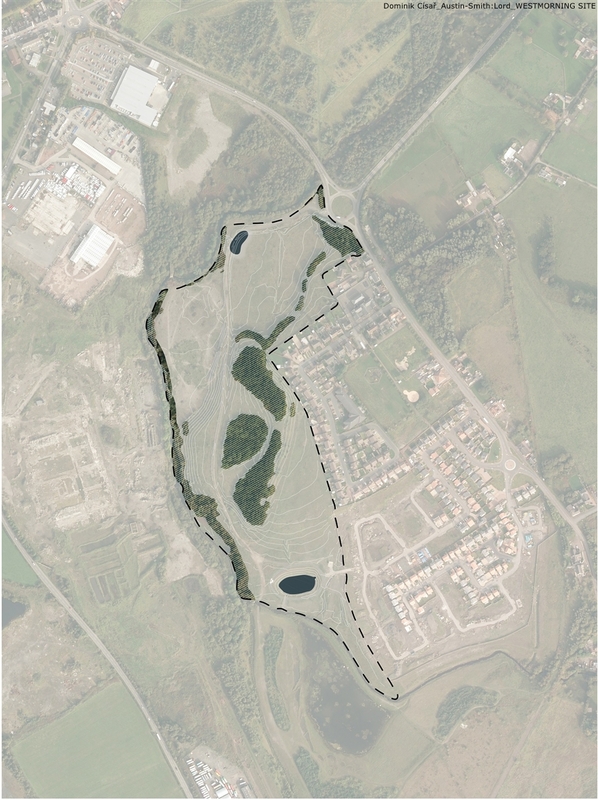 The site, known as the Former Royal George Coal Washery, occupies an area of approximately 19.8Ha (49 Acres) is located to the south of Newmains, which itself lies to the east of Wishaw, Lanarkshire. The site lies to the east of the A71, immediately to the south of Newmains. See the below Location Plans The site falls within the Greenbelt; although, the site is derelict and eff ectively brownfi eld in character. This Supporting Landscape Statement is based on the original document but has been updated to reflect significant changes in circumstances. A large pit in the centre of the site marks the location of the former quarry, a number of surrounding bings extend above an otherwise relatively level site. 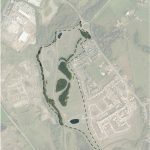 Immediately to the north of the site, the “Hot Water Pond” and its surrounding vegetation has been granted the conservation designation “Site of Importance for Nature Conservation” (SINC). On the opposite side of the A71, there is the Greenhead Moss Community Nature Park, which extends to over 110 hectares; a large proportion of which is also a protected SINC. This design statement outlines a proposed Development Framework for housing on a key site on the western edge of Morningside. 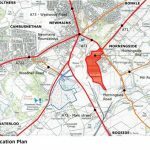 This proposal would create a natural extension to the existing settlement, envisaging two discreet areas for new housing within a wider network of open space. Working with the existing site context and applying tried and tested placemaking concepts, this proposal seeks to augment and enhance the landscape setting and path network to integrate new housing within the wider community of Morningside. 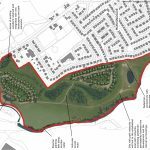 The site could accommodate up to 150 new homes and is ideally located to meet North Lanarkshire and Wishaw’s housing needs. The site is in a sustainable location, it has good public transport links and is within walking distance to Morningside Primary school and local amenities, including a large supermarket. 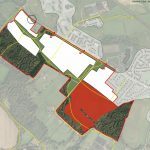 The site, which occupies an area of 15.5 hectares (38.3 Acres) is located to the southeast of Newmains, which itself lies to the east of Wishaw, Lanarkshire. It is situated immediately to the west of the recently expanded residential enclave of Morningside. The site is bounded to the west by the Auchter Water, to the east by Morningside and by open countryside to the south. The site is accessed from the A71, which impinges upon the site to the north. The site is identified within the below location plans. The site has been the subject of extensive mineral working in the past and lay derelict for many years. Part of the site, principally along the eastern side, has been reclaimed, with the establishment of substantial belts of woodland approximately twenty years ago. More recently (within the last fifteen years) there has been the recovery of brick making clay from its place of storage alongside the burn. At the moment, about 18% of the site is classed as being vacant and derelict, the balance being classified as open space. To the south, an attenuation pond has recently been constructed to serve the needs of new housing in Morningside. The site has been the subject of significant industrial activity over the year which has resulted in the landform being totally modified by human intervention. At present, the site consists of two essentially level platforms, situated on either side of a track which bisects the site along its long axis running north to south. These low lying areas occupy land adjacent to the Auchter Water and are separated from the higher ground to the east by a steep embankment whose severity reduces progressively towards the south. In the southeast, immediately adjacent to the new housing in Morningside, there is an area with a shallower slope which has a southerly aspect. Visually, the site is well contained. The land to the north is low lying, which will allow any development to nestle into its landscape setting. Only a limited number of residential properties, situated to the northeast overlook this part of the site, but their views will be filtered by an intervening belt of woodland. This woodland however consists of deciduous broadleaf trees and so the degree of screening will be seasonal and be at its least effective between late autumn and spring. The area to the southeast is also well screened from the majority of available viewpoints in the west, although its proximity to Morningside will make it highly visible from those individual properties bordering the site. 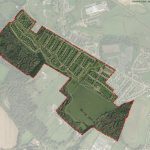 This area presently has an open aspect to the south; however additional infrastructural landscaping could be introduced along this flank to reduce any potential detrimental impact when viewed from the wider countryside beyond. 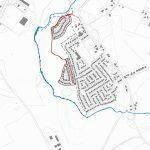 Hirst Landscape Architects Preliminary Landscape Appraisal of a housing development on the site suggests that potential effects would be limited and in most cases where they are significant, be beneficial. 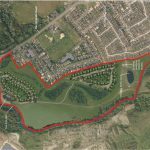 The existing woodland resource will be retained and extended and an additional belt of riparian vegetation 10.0M wide is to be introduced along the banks of the Auchter Water. This will contribute towards the wider green network linking core habitats to the north and south. Existing derelict land will be reclaimed as a result of the development. Visually, the new housing will nestle into its landscape setting, being largely screened from public view by topography and intervening vegetation from the majority of significant receptor viewpoints. 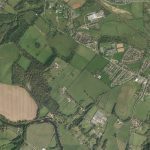 It is not anticipated that a housing development in the form proposed will impose any adverse effect upon the prevailing landscape character of the locale.